Whew. This is a really good one. Very few artists get recognized for one name only. It usually means that they’ve had an impact that goes almost beyond music. They touch people on a spiritual level, a healing level. Garth. Willie, Waylon. Reba. There are more, but not too many. I would certainly put Wynonna in that category. It helps that she has a unique name, but she has certainly left a mark on country music. And she came out with new music recently and this song is getting some well-deserved attention. I think I first heard this one on The Highway, which gives me hope that it can become a hit at radio. 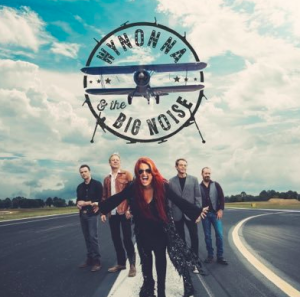 It looks like this has already been the most popular song on Wynonna’s album with Spotify listeners. The song is about life and struggle. We all go through struggles. Sometimes we go through the same struggles as those we know. Other times we go through different struggles. The common thread is that we all go through it. This song talks about the things that people lean on when they’re struggling. We all lean on things that will help us through. It might be someone close to us. It might be a quote that speaks to us. It could be anything. The hope is that the thing we lean on will truly help us in good ways all around and not just swap one struggle for another. Talk about a great song from Wynonna. It’s something that could be a sleeper hit this year. I really hope so.